* Each year, Popcorn Press celebrates Halloween by publishing an anthology of horror poetry and short fiction. The press holds an open call for submissions starting on Oct. 1 and by Oct. 31 have an ebook published and files to the printer for a physical book. Previous years have produced Vampyr Verse, The Hungry Dead, Halloween Haiku, Cthulhu Haiku, Cthulhu Haiku II, and Halloween Haiku II. I've been a proud supporter on Kickstarter. This year, the title is Zen of the Dead! Check it out! Only $1 gets you the ebook! Now to the main feature! 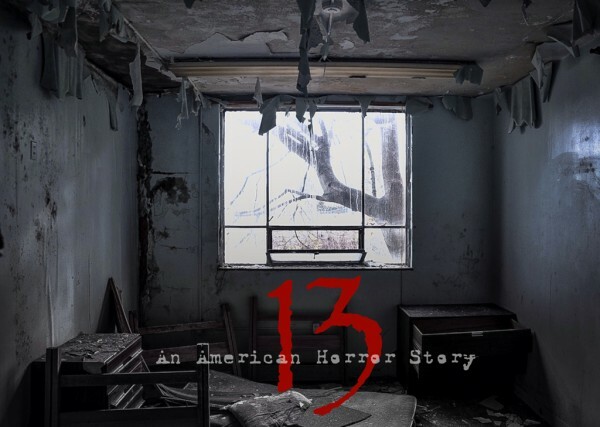 Thanks to my friend James (Z Eerie Mad Doc himself) for letting me know about the publication of the exquisite art photography book 13: An American Horror Story by Steph Lawless. I can't think of anything better fitted to the season. Here's the official description: "High quality photo/coffee table/art photography book accompanied by 13 of the most terrifying short stories based on actual events of Seph Lawless' journey of the most haunted houses in America." Huffington Post ran the following article on this project -- check out the amazing photos! -- here: "13 Real Life Haunted Houses And The Horror Stories That Go With Them." "And the scare factor didn’t end once Lawless finished photographing. 'Once, I was home editing and I noticed shadowy figures hiding behind objects in the photos,' he said. 'It was more than likely someone in the house was hiding there after I had entered. There's no way for me to know now since I didn’t edit the images until weeks later.'" Here's one more article on the book (with photos!) from Can You Actually: "13 Of The Creepiest Real Life Haunted Houses, And The Terrifying Past Behind Them." Those haunted houses are really creepy but, at the same time, beautiful in their own way! What stories they could tell! Yes! I thought so, too. Oh, creepy! And while I tend to go along with the writer, in that I'd be more afraid of the living while in those places, one still can't help but shiver a bit at the photos. And while I tend to go along with the writer, in that I'd be more afraid of the living while in those places, one still can't help but shiver a bit at the photos.